As excited as my husband and I when we found out we were expecting our first child, we were also a little terrified. After all, having a baby isn’t like keeping a houseplant alive; it’s not even on the same playing field! Fortunately, however, I have supportive family members and friends who helped me through these last 8 months of my pregnancy. Tips, practical (yet helpful) baby gifts, advice, etc. are just some of the things I’ve gained so far. Now that we’re coming down the homestretch, due to welcome our little one into the world, I feel as if I’m quite well prepared regarding prepping for his arrival. Now, once the baby gets here, I know it’s going to be a challenge. A worthwhile and rewarding challenge but tough nonetheless. Navigating the waters of the first few months are something I’ve heard a lot about since I found out we were expecting. It’s not all rainbows, happy giggles and cuddles! There are going to be long nights, many diaper changes, crying for reasons we can’t even fathom, etc. but like I said, I’ve had a lot of help so far and have been assured that I’ll have help & support every step of the way after our son arrives. All that information and the gifts that I’ve been given over these last few months of my pregnancy? 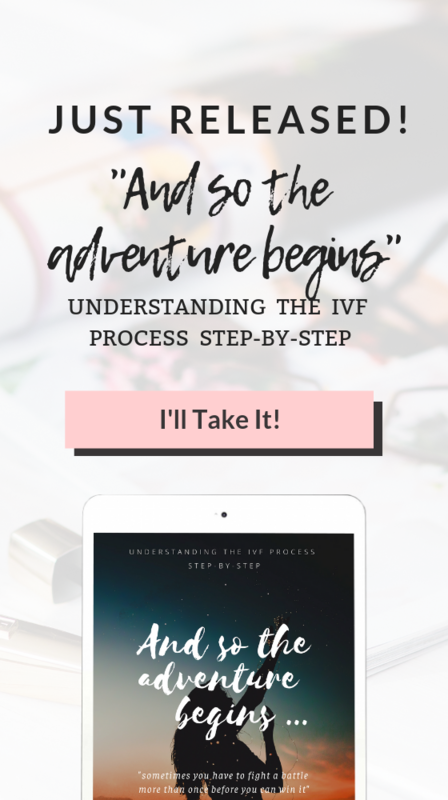 I know there are a lot of mamas who aren’t so fortunate to have that, so, I’ve gone ahead and compiled a list of some of my essentials for surviving the first stages of motherhood. Some of these nifty items can even be doubled as stocking stuffers now that the holidays are fast approaching! » Created by Baby Tula, the Blossom Free-to-Grow Baby Carrier is going to make moving around with your little one so much easier, either at home or out and about. Instead of lugging around a car seat that’ll get progressively heavier as your little one grows or having your arms scream at you, the Free-to-Grow Baby Carrier is a great way to multi-task as well as bond with your baby. » Tubby Todd Basics Bundle. Want to get the best for your baby regarding hygiene, while staying away from harmful chemicals? Tubby Todd offers their Basics Bundle so parents can feel at peace with things like bath time and provide necessary skin care products for their newborn. With items like the Lavender & Rosemary Hair and Body Wash, Sweet Quince and Honeysuckle Bubble Bath, both you and your little one will get the most soothing effects from bath time. Additionally, the Tubby Todd Travel Kit offers the same great products in smaller sizes to help make travel easy and stress-free! » The Como Tomo Baby Bottle gives you all of the benefits of breastfeeding, right from a bottle. Many women can’t produce enough milk to feed their little ones, and there are even some who can’t afford to miss work to enjoy breastfeeding, so Como Tomo created their bottle to mimic the act of breastfeeding while helping to prevent colic. Their Teether is another fantastic product that benefits babies by emulating their natural instinct to bite their fingers when teething. » I adore little baby shoes, always have. They’re just so tiny and cute! Thus, these adorable little Moccasins in Chambray from Freshly Picked are definitely an essential to have. Just look at the detail! Of course, the fact that they’re great for little foot growth is a great benefit too! » Have I ever mentioned that I love purses as well? I worried for a time that I’d have to give up cute and stylish bags once the baby arrived but thanks to Ju-Ju-Be, I put that worry behind me. Their First Lady Diaper Bag has all of the styles of the purses I love but all of the benefits of a diaper bag as well! » Breathe by Zo-Li. I’m not going to lie, those nasal bulbs my girlfriends used to bring home with their newborns always gave me the creeps. I know they’re meant to help clear up stuffy noses but boy, did they look strange! Breathe by Zo-Li is a nasal aspirator that is safe for babies while being effective in clearing up stuffy noses thanks to its steady and gentle suction setting. » Another great product by Zo-Li that I’ve been assured is a lifesaver once the baby gets older, is their PODS, the leak-free snack containers. I know how cranky I can get when I’m hungry, so I’d imagine for a baby it can get exponentially worse! Having snacks handy in a container that isn’t going to leak and is BPA free will come in handy for sure. Although we’re still waiting for our son to make his appearance (any time now!) I’ve spent a lot of time researching and getting many different opinions on which products are going to be an essential time saver, and an-all-around miracle worker once he arrives. These are just a few of a mountain of products available in the market, but I hope that these choices can help my fellow mamas to be for when the time comes and they need another opinion to help choose the best products for themselves and their little ones! Product[s] mentioned on this post were provided by the company or the PR that works in behalf of the company for my consideration. All reviews I publish are my own honest and unbiased opinion. Press samples do not, in any way, affect the outcome of my product reviews. Post contains a link to a product page, shopping through this link will not result to a commission. I am not in any way compensated to write and publish this review. ← Previous Story FREE Baby Box from The Baby Box Co. – What exactly is a Baby Box? Great advice! It’s hard work becoming a first time mummy and can be overwhelming at times. I wish I had read more blogs before I had my eldest! I like the sound of the Tubby Todd Basics Bundle. I think it’s really important not to use chemicals and artificial ingredients with your baby! I sounds like you are so up on what you need to do to be ready – I can’t believe how quickly your pregnancy seems to have gone by I’m sure you only announced it yesterday, right?! Baby carriers are fantastic. I used mine loads as it’s a great comforter for little ones as they are so close that they feel the heat from mummy and can also smell she is near. Mine all loved being in them. I don’t have kids or a partner yet but these are some fab tips that I can share with my mummy friends. Fab post hun! These all are cute products and really helpful for new mothers. I love the diaper bag, it doesn’t even look like one it looks like a designer bag. We LOVED our Como Tomo bottles, and our Tulas. Great list here! A good baby carrier is a must have and those snack containers should be filled with chocolate for quick energy because you’re going to need it!! Those are some great products! My baby years are behind me, but I love that diaper bag! So stylish. Congratulations to you and your husband. Seems like you are very well prepared. God bless your family and blessings for you on your new journey. I can’t get over much children cost. When they start walking I always ask them if they’re working yet..lol. Some of the answers are priceless and some children are actually working on hobby they love already! Some of these things are such good ideas! I love those little shoes though, adorable. This is such best essentials for a motherhood to be. Tula baby carrier is so interesting. I will definitely share this with my friend who needs to get ready in her first pregnancy. That nappy bag is to die for. I was obsessed with getting a nappy bag that is both stylish and functional. This one is a winner. There was so much I didn’t know my 1st time around, but the 4th I learn what was necessary and what wasn’t, The baby carrier is one I wished I had with my 1st, especially since I wasn’t driving at that point it would have been a so much easier than lugging around a huge stroller. We had a JuJuBe bag and loved It! Some great ideas! My mom has these items all the time, especially the first one because when my mom go to the store or anywhere she take it with her. Great post! those little blue moccasins are adorable! they look perfectly comfy for little feet. especially during the stages when they’re standing and shuttling around, it would be great to have! Oh the baby carrier is beautiful!!! I don’t think I have seen one with so much detail before and its lush, this would make a great gift for a new parent!! First of all, many congratulations and take a good care of yourself! I don’t have kids but all these essentials sound amazing for the new mommies! Congratulations on your pregnancy and expecting your son. It will be hard in the beginning, but well worth it as you see them grow. My son also wore the moccasins and they are so comfortable for the baby. The feeder also looks good, I too had to dual feed and its important that the baby takes to the bottle. Good luck. Congratulations!! Looks like you are well prepared with essentials . I loved the baby carriers, better for me to use than the wraps. Everything else was trial and error.